Joe employee worked for a state department of transportation, where the schedules could be rather interesting. Some employees worked one week on and one week off, some worked two weeks on and two weeks off, and some could even work four weeks on and four weeks off. When Joe employee needed continuous FMLA leave, the employer counted the weeks consecutively, including the weeks when Joe was not scheduled to work. The U.S. Department of Labor (DOL) Secretary got wind of this and filed a claim, arguing that the employer was calculating the 12 weeks of FMLA leave incorrectly. The Secretary indicated that the 12 weeks were workweeks, and the employer was improperly considering the weeks rotational employees such as Joe were not scheduled to work as actual workweeks, subtracting those weeks Joe was not expected to work as FMLA leave. The employer, on the other hand, argued that it was allowed to count the weeks as it had been; that the DOL’s interpretation of the FMLA’s 12-week entitlement was not reasonable. It argued that employees are entitled to 12 calendar weeks of FMLA leave, not 12 workweeks. 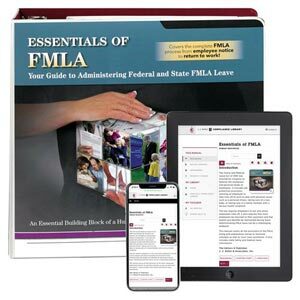 Therefore, it could count weeks that rotational employees were not otherwise scheduled to work as FMLA leave if the employee was taking FMLA leave on a continuous basis. If the employer were to use workweeks, it argued, some employers would get 12 weeks of FMLA leave and some would get 24, which is unfair. The court ruled in favor of the employee, pointing out that the statute as well as the regulations, provides that an eligible employee is entitled to 12 workweeks of FMLA leave each year. A workweek is time that an employee is actually required and expected to work. There is nothing unfair about the DOL’s interpretation. During the weeks an employee is not scheduled to work, the employee is not missing work, since he wouldn’t have been there to begin with. Therefore, those weeks would not be FMLA leave. Many employers have employees who work unusual schedules. They would need to consider cases such as this one when calculating how much FMLA leave an employee takes, and not count time an employee is not otherwise scheduled to work as FMLA leave. Acosta v. State of Alaska Department of Transportation and Public Facilities, District of Alaska, No. 1:17-cv-0009, November 6, 2018.